Designed to help educators teach scientific concepts, these activities emphasize the processes involved in science experimentation and relate each to students’s lives. 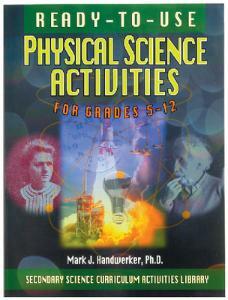 Lead students through 15 uniformly formatted teaching units covering major topics in physical science. Includes classwork agenda, reproducible fact sheet, 40 minute lesson plans, journal sheets, and reproducible review quizzes.